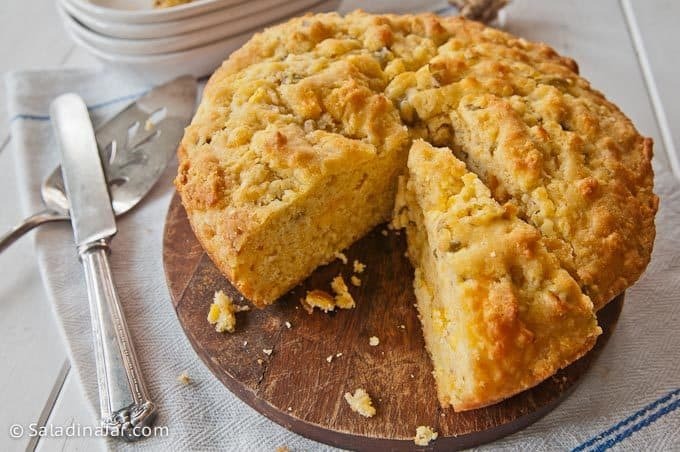 Are you a cornbread connoisseur? A lot of Texans are picky about their cornbread. Southerners like to argue about the rightness or wrongness of adding sugar. Some say it should never happen. 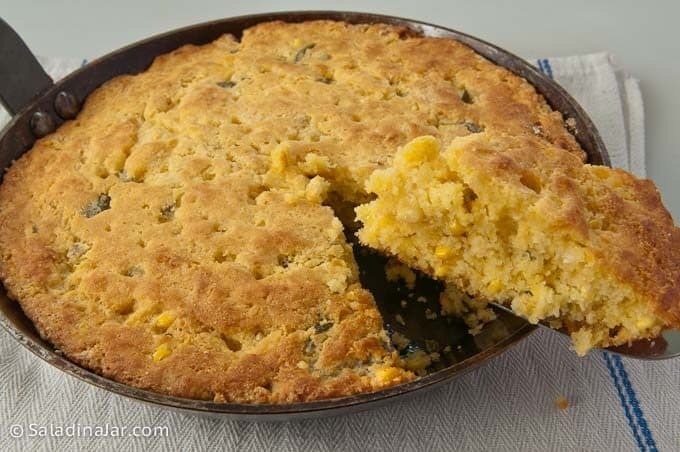 Today, I’m talking to those of you who are more inclined to “cornbread cake.” That includes me. If the cornbread I’m eating doesn’t have enough sweetness, I grab a bottle of honey. 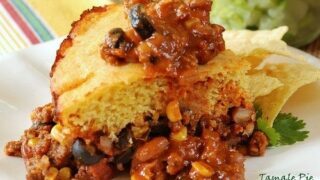 To come up with this recipe, I started with a cornbread recipe from “Flour” by Joanne Chang. 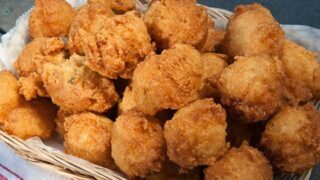 From there, I went crazy with substitutions and additions in my quest to duplicate the cornbread served as an appetizer at one of my favorite restaurants. Not only can you use Greek yogurt instead of sour cream, but you can also use yogurt-whey instead of milk. Since you will want to make this recipe over and over, it’s a welcome way to make good use of all that whey. 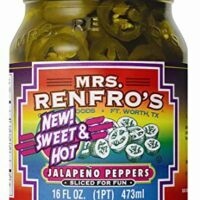 I am infatuated with sweet pickled jalapeños here lately. The sweet and spicy flavors together are ridiculously addictive. Not all brands are hot like the ones pictured here. Some brands are mild. Pay attention when buying them if that matters to you. 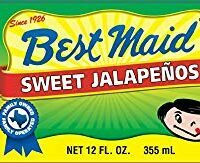 Best Maid makes good ones, and you can often find them at Walmart. I’m thinking about making them myself just for fun. 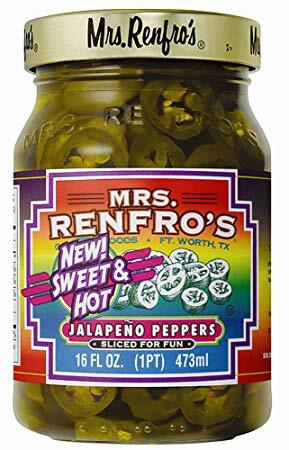 Alternatively, use regular pickled jalapeños, or leave them out entirely, but in my opinion, they are the star of the show. The buttery crust ON TOP is the star of the show. 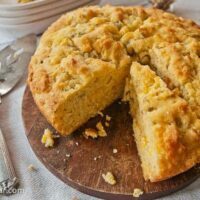 There’s just too many things to like about this cornbread. I know. It’s a little much. Just try it once. If you want to go crazy, sprinkle the smallest amount of sugar over the top after you spread the melted butter. The sugar idea is entirely optional, and I promise not to tell if you do it. 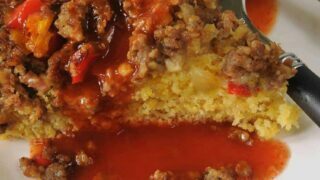 This recipe is a skillet cornbread from start to finish. But I’m not a big cast-iron-skillet fan. Not only are they heavy, but I think I can taste the skillet if the cornbread is left in there too long after baking. Maybe it’s just my skillet. 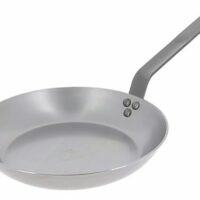 Nevertheless, I’ll take this carbon steel fry pan any day over a cast iron skillet. It’s lighter in weight but holds the heat just like an iron skillet. Carbon steel fry pans make the crispiest golden brown crust. If you don’t have one, use your cast iron skillet with confidence. This cornbread recipe will still turn out perfectly. 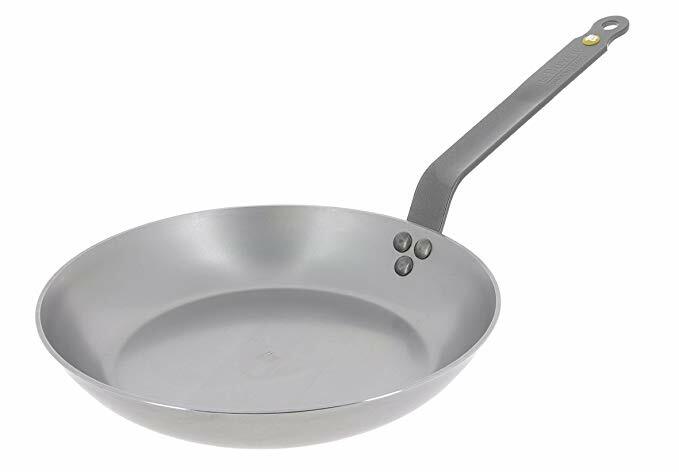 Anytime I want a nice crust, whether it’s on a piece of meat, fish, or some veggies, I pull out this pan. Just like cast iron, it develops a virtually non-stick dark-colored patina with use. (See the picture below of melted butter.) Since the definition of “patina” includes “a long time,” you shouldn’t be surprised to hear it takes a while to build that highly-desired patina. First, melt butter in a skillet inside your conventional oven while it is preheating. Pour all but a generous tablespoon of the butter into a separate bowl and set aside to use in the recipe. Combine oil and 2 tablespoons taken from the melted butter you set aside earlier. Add eggs to oil and butter. Whisk well. Add milk (or yogurt-whey) and sour cream (or yogurt) to egg mixture and whisk well. Add corn kernels, cheese, and chopped jalapeños. 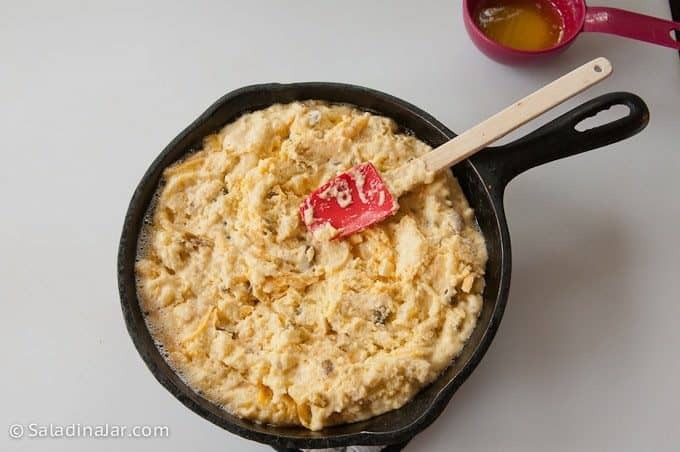 Spread thick batter into hot iron skillet with butter in the bottom. Pour the remaining butter you set aside earlier over the top of the cornbread and spread evenly with a brush. 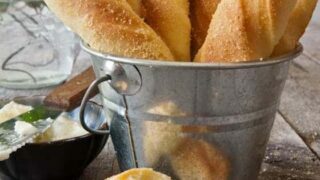 We like to eat this hot out of the oven while the crust is still crispy. Leftovers are delicious but way too tempting. So, we wrap individual servings and freeze them. When ready to eat, we like to split the cornbread and sauté in a buttery skillet until golden brown. 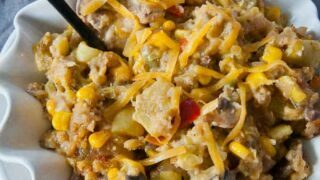 This particular recipe makes tasty cornbread croutons or cornbread crumbles as you would use in dressing. Love them in this Green Chili and Squash Dressing. 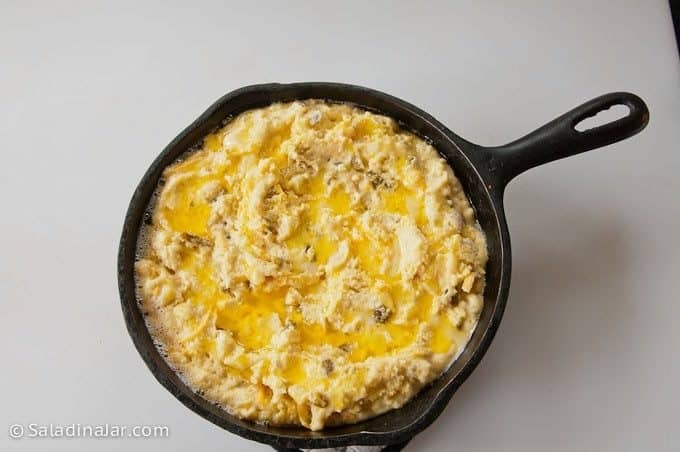 Place 1/4 cup butter in the skillet you plan to bake in and put in your oven while it's preheating. 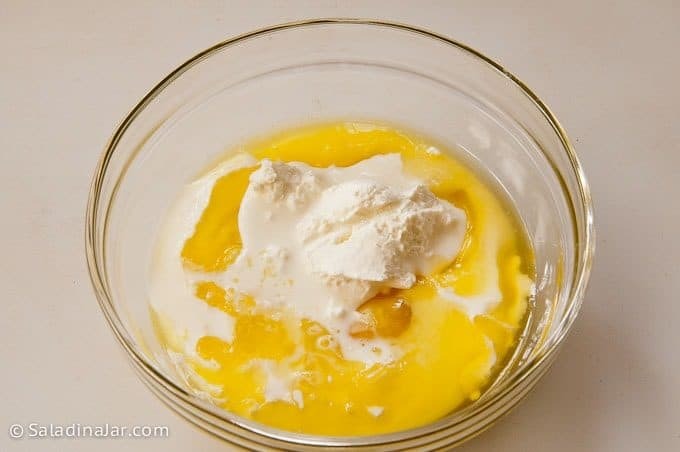 As soon as the butter is melted, pour out all but approximately 1 tablespoon butter (which will stay in the skillet) into a small dish and set aside. 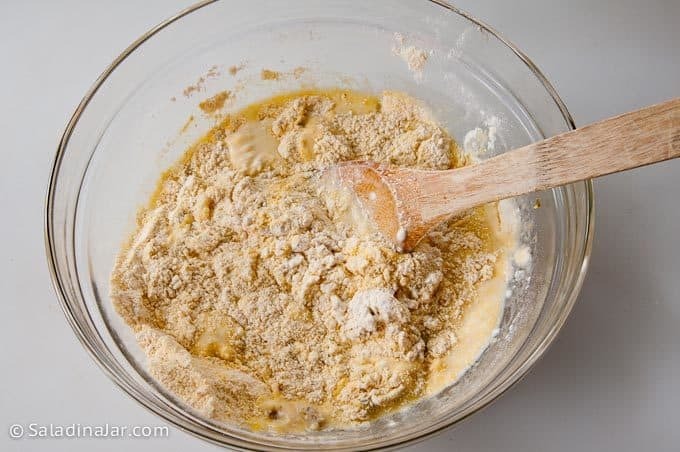 In a large bowl, stir together cornmeal, flour, baking powder, baking soda, salt, and brown sugar. 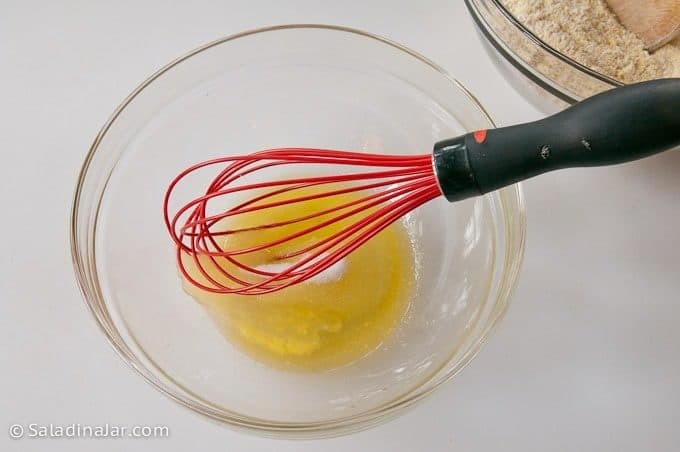 In a medium bowl, whisk together oil and 2 tablespoons of reserved melted butter. Add egg, milk, and sour cream to oil mixture and whisk well. Stir in corn kernels and jalapeños. 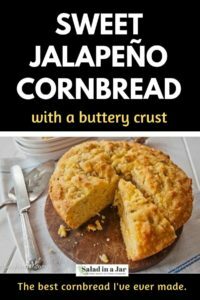 Fold wet ingredients into the cornmeal mixture until all dry ingredients are incorporated and the corn and jalapeños are evenly distributed. Lightly fold in cheese. 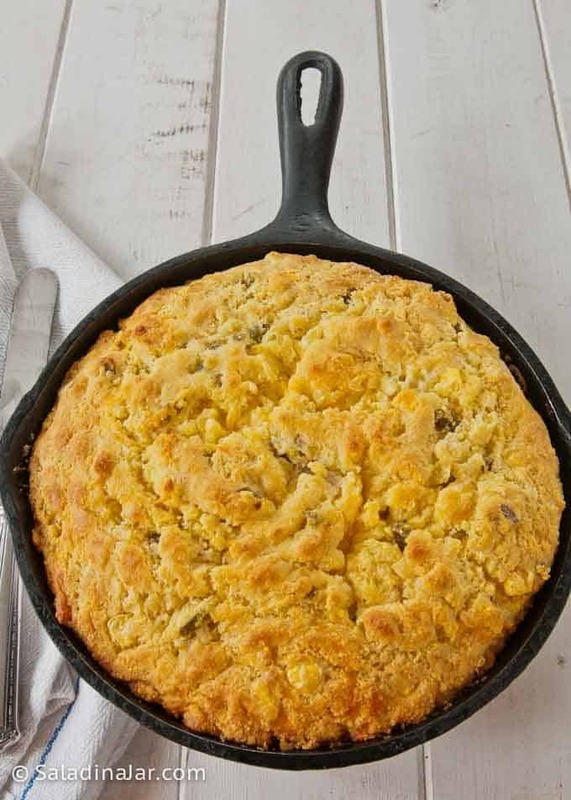 Spread cornbread batter in buttered iron skillet. It will be somewhat stiff. Pour remaining butter you set aside from step #1 evenly over the top of the batter. 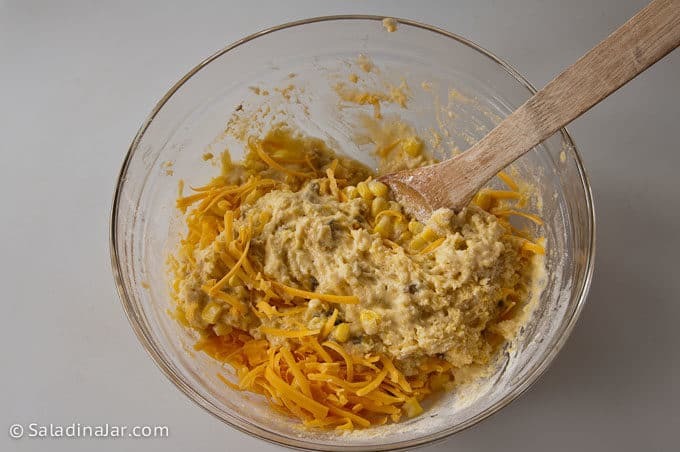 Use a brush or the back side of a spoon to ensure the butter is evenly distributed over the top surface of the cornbread batter. 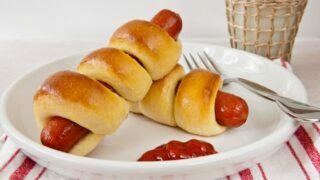 Bake for 25 minutes or until golden brown and a toothpick poked in the middle comes out clean. Substitute yogurt-whey for the milk and Greek yogurt for the sour cream. It is my favorite way to use yogurt-whey. It's OK to substitute frozen corn for the fresh although I think the fresh is worth the trouble. If you do use frozen, try to find the small and tender white corn as opposed to the larger yellow kernel corn. Only use canned corn if you are on a dessert island somewhere and no other corn is available. My favorite way to fix one ear of corn is to put it in the microwave on High for 3-4 minute--un-shucked. When finished, shuck the corn and cut the kernels off.